In the State of Maryland, there are a number of Serious "MUST APPEAR" Traffic Offenses. 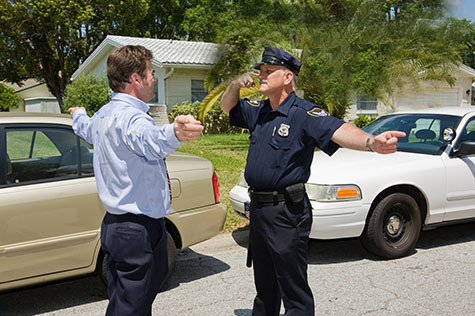 If you receive a Traffic Citation for a serious traffic violation, you must take this seriously and not delay in speaking with and/or hiring an Attorney so that you can understand your legal rights and possible defense. Understanding your legal options will allow for you to consider strategies well before your Court date such as alcohol classes, community service, Driver Improvement Program or other means to put yourself in the best possible light before he Court. It is never good to go to Court with empty hands even if there are doubts about the validity of the traffic charges. You and your lawyer may only have a few minutes to explain your situation to the Court. If you have been charged in Maryland with a payable or non-incarcerable traffic offense, you have several options which include the right to contest that charge by requesting a trial in writing within thirty (30) days of receiving the Citation, requesting a trial or a waiver hearing for a possible trial or just paying the citation through the mail, online or at any District Court in Maryland no matter what County you actually received the ticket if you want to contest the Citation, you should request a trial and not a waiver hearing which waives the obligation of the Government to produce the Officer for Court and/or present any evidence to prove the charge against you. A waiver Hearing is just a plead guilty with an explanation option and you lose the chance of getting a dismissal if the Officer fails to appear in Court though that is a fairly rare occurrence. If you want to contest the citation and/or hope to reduce or eliminate the points associated with it, you can try to represent yourself or you can hire an attorney to represent you. The decision to do so will likely be decided for a few differnt reasons depending on your situation. Some drivers already have prior convictions and points who worry about a suspension being imposed. Others do not believe they are guilty of the offense and/or caused the accident that was involved. Others are professional drivers and hope to avoid additional points no matter how that can be accomplished. In these situations, an experience attorney can be very helpful for they understand the law, the Court and perhaps the particular Judge in order to preparer a defense and/or acceptable reasons why the court should look at the accusation and/or imposition of points in a more favorable way to the driver then might be expected. The Law Offices of Stephen F. Allen, P.C. has been providing quality legal representation at affordable prices for over 30 years throughout Maryland and the District of Columbia in such areas as criminal/traffic defense, automobile/personal injury accidents, Family/Domestic Law and many other legal areas. For a free initial consultation with an experienced and qualified lawyer, contact us at (301) 987- 2002. There is nothing to lose and everything to gain. Do not wait as certain legal rights may be waived. Call us now.